HA NOI (VNS) — Viet Nam should have a long-term strategy to make cement a large-scale and high-value export product to give a boost to the country's export revenue, said Deputy Minister of Construction Nguyen Tran Nam. Nam told the "Exporting cement towards sustainable development" conference held in Ha Noi yesterday that he supports growing cement exports since the country's natural resources are large enough for production. The ministry estimated that limestone reserves could last for the next 100 years and are in good enough condition to support an expansion of the export market. The industry's output potential is projected to be as high as 100 million tonnes a year by 2020. "In my opinion, I support cement exports. However, the industry must have solutions for sustainable development issues that will arise due to big outputs," he added. Viet Nam has become the fifth biggest cement producer and consumer in the world after China, India, Iran and the US. The "hot" growth of the industry, however, has exposed challenges. The Construction Ministry showed that total cement sales last year reached 71 million tonnes, 50.6 million tonnes sold on the domestic market and 20.4 million tonnes were exported. The sector's output was around 55.3 million tonnes, about 20-25 per cent higher than local consumption needs. 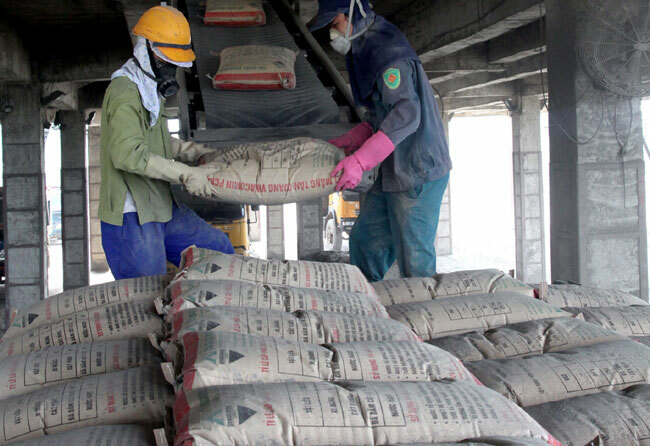 Le Van Toi, head of the ministry's Building Material Department, said Viet Nam's cement exports also faced challenges since companies in the sector are small and isolated, resulting in dependence on middlemen. Nguyen Anh Quan, head of Viet Nam Cement Industry Corporation (VICEM)'s Development Department agreed. "The reason for the situation is due to a weak association amongst cement producers and unhealthy competition by lowering prices," Quan said. He also supported further exports as the local cement inventory would be around 10 million tonnes this year despite an expected increase in consumption. A representative from the Ministry of Industry and Trade said policies should ensure a balance between local consumption and exports. Building close associations in production and exports, as well as seeking importers with long-term contracts would limit risks. Statistics from the Building Material Department show that cement consumption in the first quarter of the year was 13.65 million tonnes, posing a 9 per cent year-on-year decrease and meeting only 19 per cent of the period's target.